Buy this Blue Ribbon Lapel Pin� and show your support and care for the fight to end Paralysis and show your support for police and law enforcement officials with our Stock Blue Awareness Ribbon. This gold trimmed Blue Awareness Ribbon lapel pin measures 5/8" x 1 1/8", comes with a friction back clasp, and is individually packaged in a polybag. 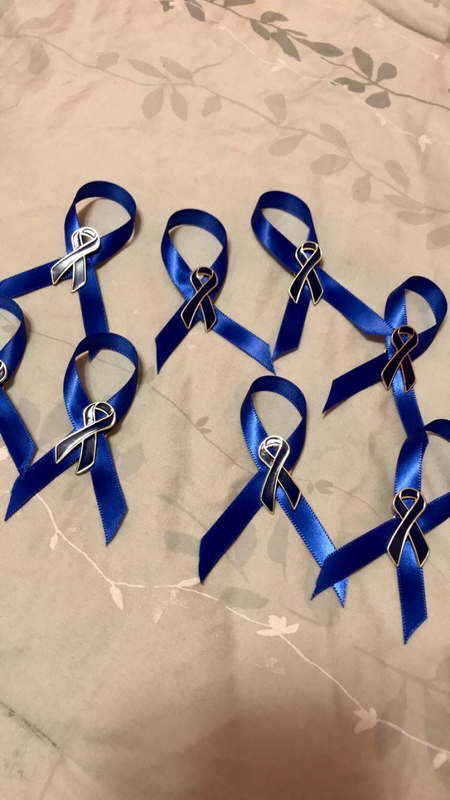 I purchased this colon cancer ribbon for a special friend.Her dad will be having surgery the 30th of this month.The Doctor feels he has caught it in time(Praise the Lord).She told me that I just don't know what this pin means to her. I am so glad that this small gift to her could give her some joy. This pin was exactly what I needed in the exact color I needed it to be. I ordered 10 for my family to honor my father who passed from Colon Cancer. Blue is the color for colon cancer awareness. This was just perfect and my family and I loved them! A family member of mine even took my idea and she made a purchase for her family as well! I purchased these pin ribbons for the family of a fallen officer from my facility. These pins are if wonderful quality as are all the other pins I have purchased! I wear one of these pins every day to honor my fallen sister. Best UsesLapel pins for non uniform staff and for off duty. 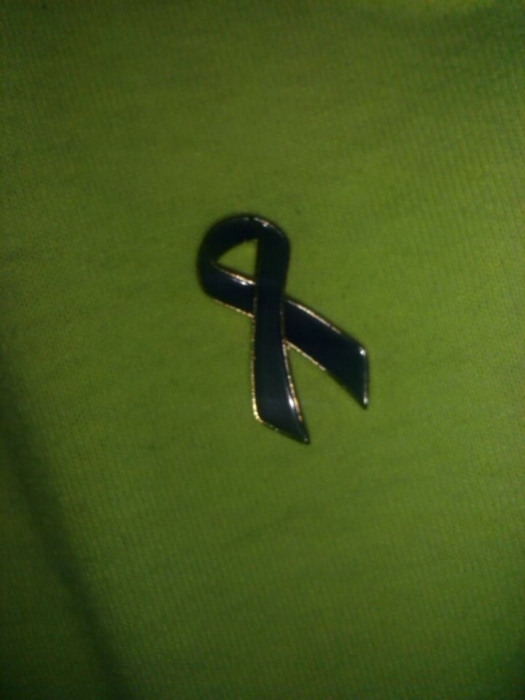 Blue ribbon worn for nephew with Arthritis. Wear for nephew who has Arthritis. Get the word out on 2nd deadly Cancer.